Huge Savings Item! Save 14% on the Churrera Churro Maker with Hollow Churro Nozzle. by Bernar by Home & Appliances at Baking Love. MPN: na. Hurry! Limited time offer. Offer valid only while supplies last. Economical yet makes great churros in just minutes. Churro recipes and complete instructions (English-Spanish) included. Easy clean, dishwasher safe. 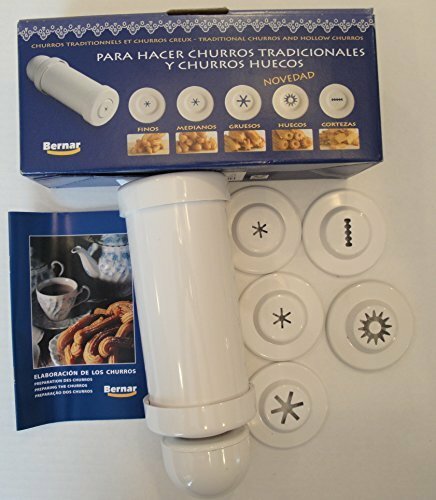 Makes great churros in just minutes.Easy to use, hand operated. If you have any questions about this product by Home & Appliances, contact us by completing and submitting the form below. If you are looking for a specif part number, please include it with your message.